Do you ever feel that the town or powers to be just don't understand the value of Thames Heritage? There are days when I just feel we are wasting time planning events for the elite, when important historic places and landmarks are ignored and/or given very little attention. 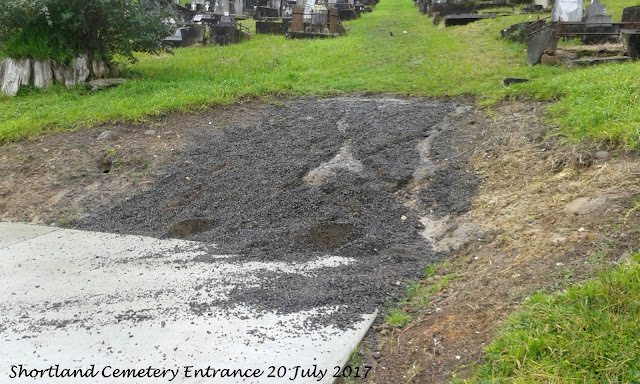 Take a look at the entrance to our historic Shortland Cemetery. Hope you weren't planning on visiting during the 150th Commemorations..come equipped with gumboots and a good walking stick!